When I worked as a buyer for a baby products website, we had a small showroom with cribs and bedding on display. I remember trying to make everything look picture perfect and having the most difficult time with the ties on the bumper pads. 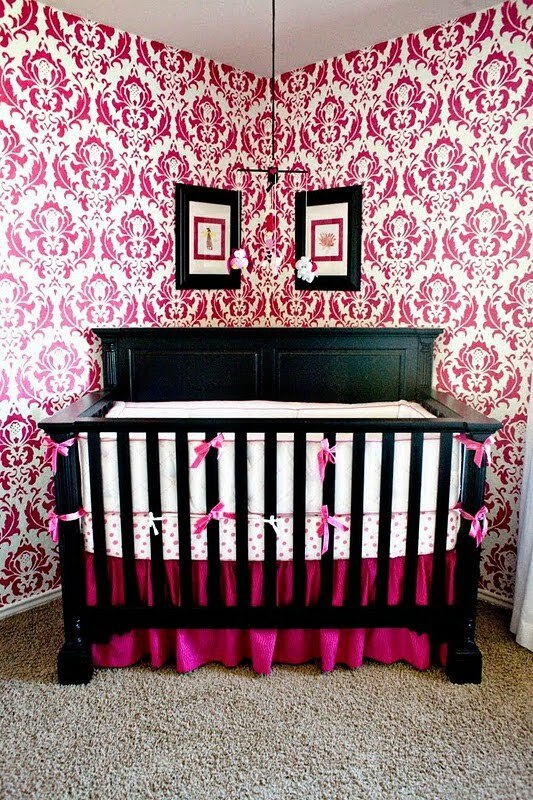 They never seemed to be in the right place to tie onto the slats of all the different cribs. First, the designer added her own satin ties to a PB bumper bought on clearance for less than $5! Side note, if you live near Austin/San Antonio you must make a trip to the PB outlet - there are amazing deals! What a great way to personalize and dress it up. 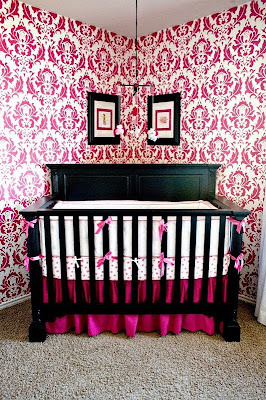 It also allowed her to get the ties in the exact right place for her crib - perfect! So, if you are going to mix and match your bedding, think about adding your own ties in the perfect shade. Gross grain or satin ribbon is available in tons of different shades and will allow you to add your own personal touch.